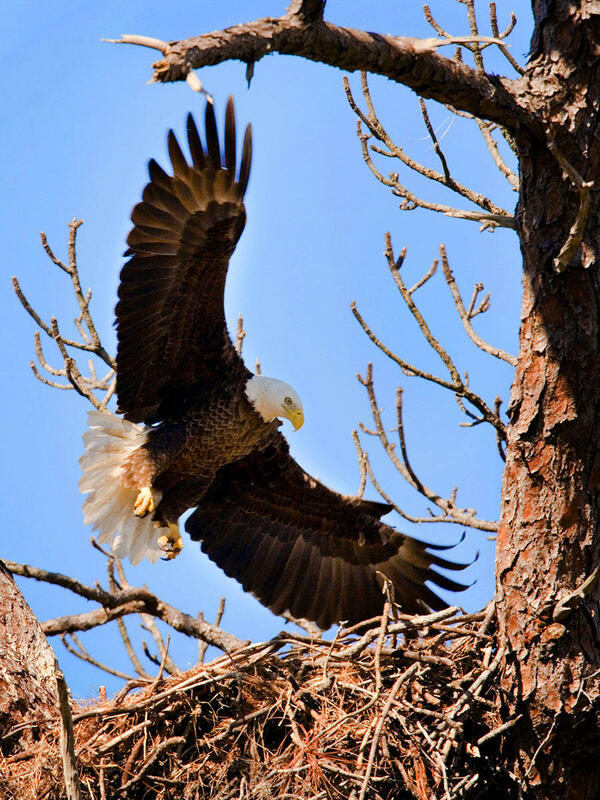 A male bald eagle launches from a perch near the nest as his mate clenches a branch in her beak, while trying to break it away. 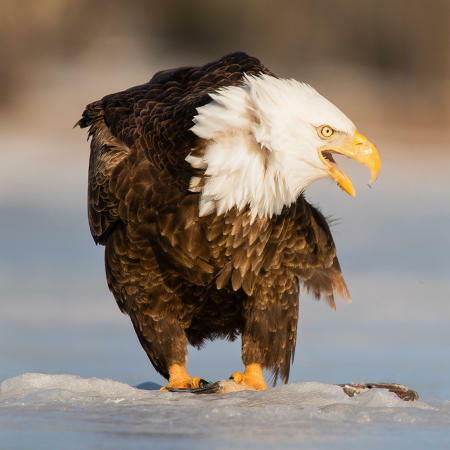 A bald eagle protects a discarded fish on the ice of a central Maine lake. 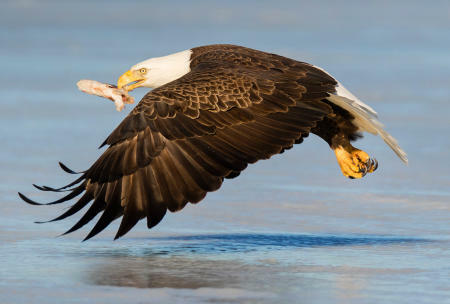 A bald eagle flies with a fish clenched in its beak, over the ice of a central Maine lake. 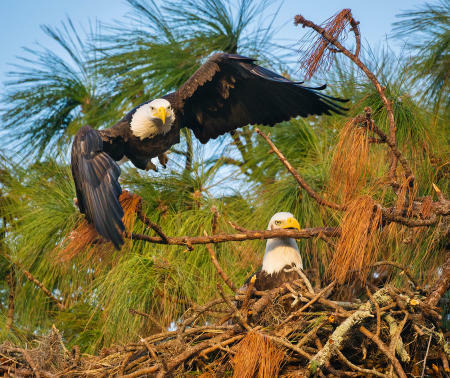 A bald eagle readies to land in its nest along Florida's gulf coast. 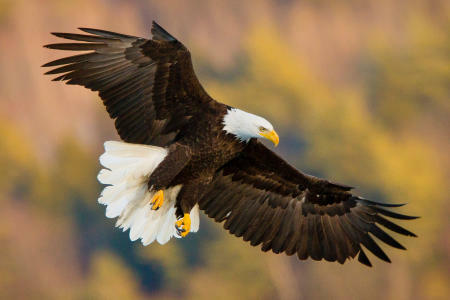 A bald eagle readies to land on the ice, vying for a free meal courtesy of ice fishermen. 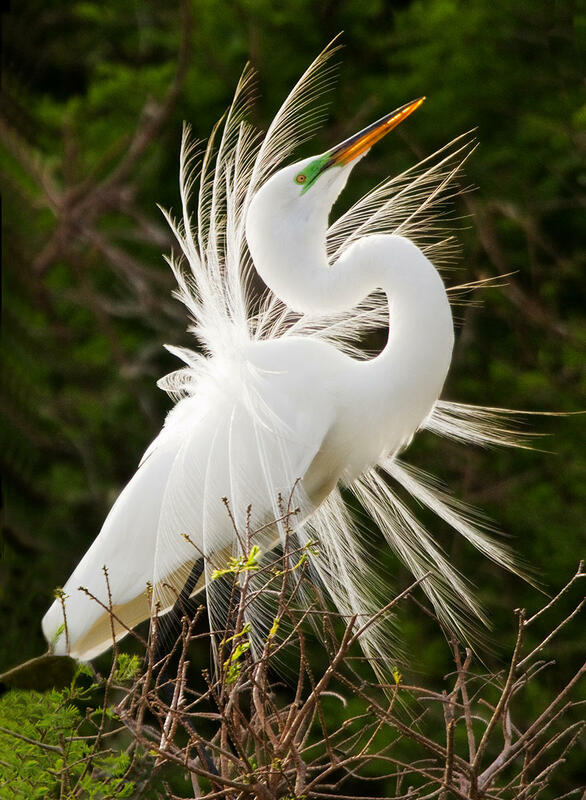 A male great egret displays his beauty while nesting on Florida's Gulf coast. 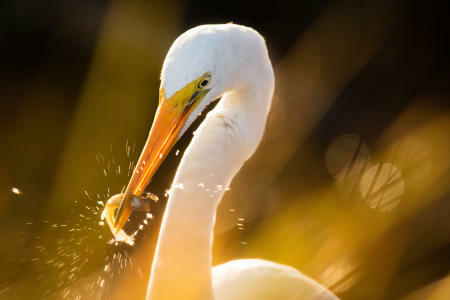 A great egret (Ardea alba) feeds on alewife frye in a Maine coast estuary. 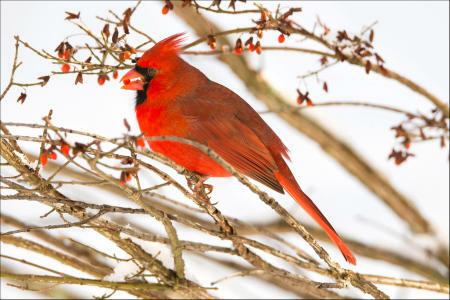 A male cardinal (cardinalis cardinalis) eats a berry from a winterberry bush in Vermont. 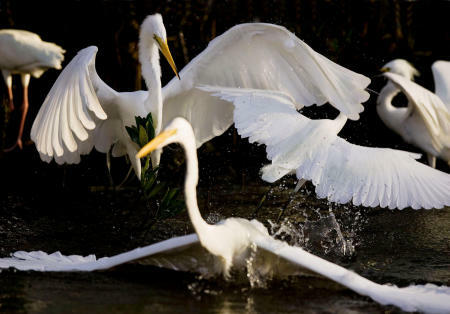 Great egrets and a snowy white egret do a dance while feeding in close proximity at J.N. Ding Darling National Wildlife Refuge in Sanibel, Florida. 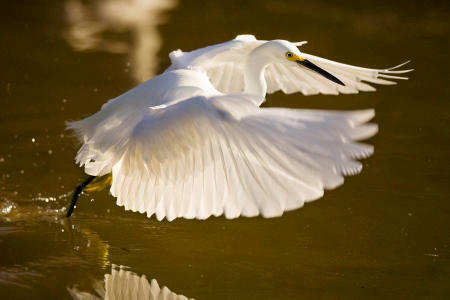 A snowy white egret (egretta thula) hovers in flight over the water, dragging its talons along the surface as a lure to attract bait fish while feeding. 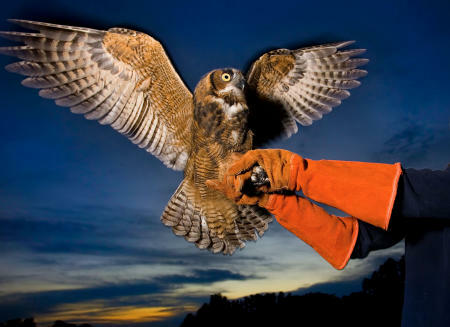 A great horned owl is released back into the wild after rehabilitation. 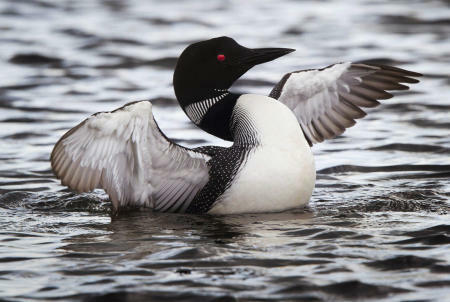 A common loon (Gavia immer) floats on water in Penobscot River, in Baxter State Park, North Woods, Maine. 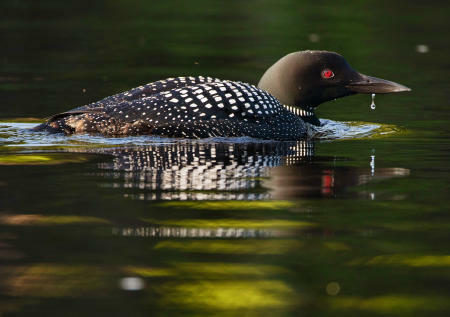 A common loon readies to launch from Cupsuptic Lake, in Maine's Rangeley Lakes region. 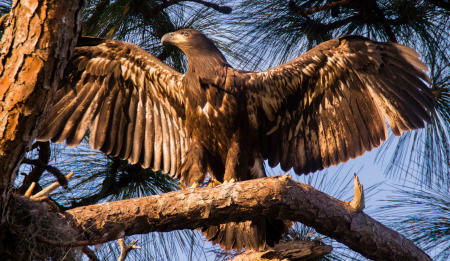 A juvenile bald eagle stretches its wings, before fully fledged, a short hop from the nest along Florida's gulf coast. 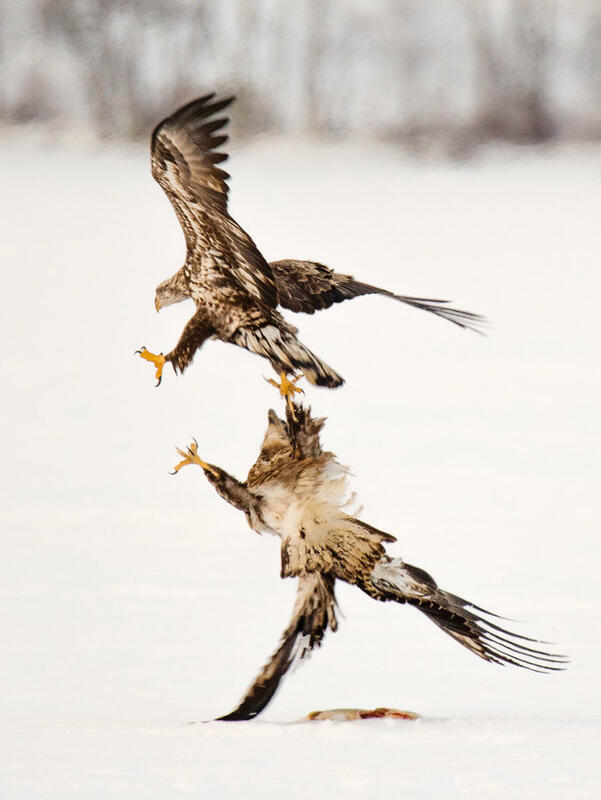 An immature bald eagle (Haliaeetus leucocephalus) fends off a rival while protecting a pike on a frozen Maine lake. 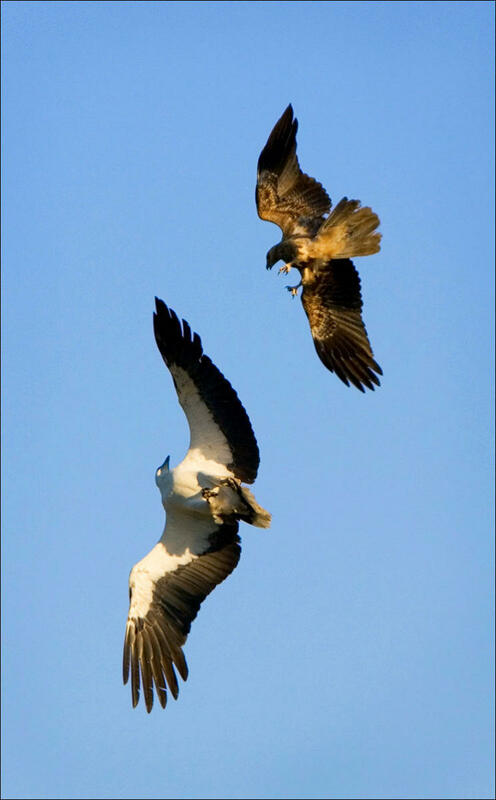 A white bellied eagle fends off an attacking kite over Yellow Water Billabong in Australia. 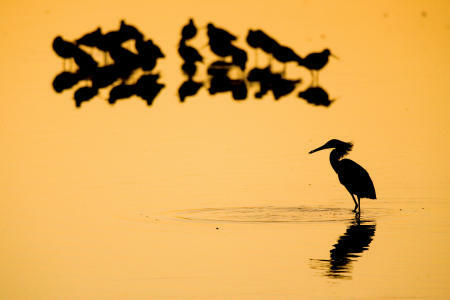 Silhouetted water birds, including a great egret, (lower right) wade while feeding at sunset at J.N. Ding Darling National Wildlife Refuge in Sanibel, Florida. 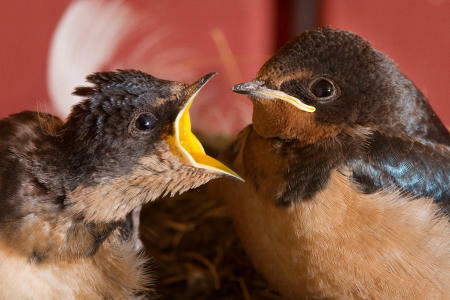 Still reliant upon its parents for food, a fledged barn swallow squawks for its meal as one of the parents flies back to the nest. 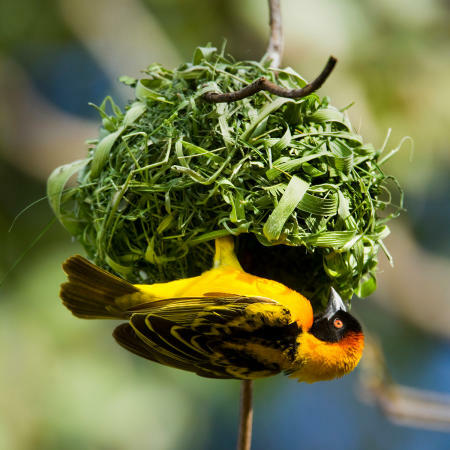 An African masked-weaver (Ploceus velatus) perches upside down on the nest along Lake Victoria in Kenya. 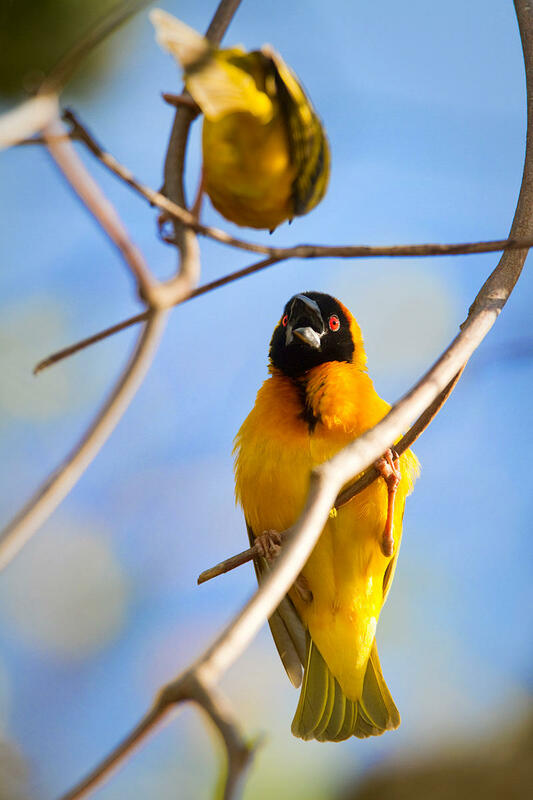 An African masked-weaver (Ploceus velatus) squawks at another weaver while perched in a tree along Lake Victoria in Kenya. Wood storks nest in a Florida rookery north of Tampa. Once an endangered specie, the wood stork was downgraded to threatened in 2014. Canada geese fly in the sky past a half moon. A hibernating American black bear pokes it head out of its tree-top den in Maine's North Woods. The Kermode bear (Ursus americanus kermodei), also known as a "spirit Bear" walks along the mountainous British Columbia shoreline. The white, or creamy-colored bruin is a rare subspecies of the American black bear. A brown bear, perched above the water on a fallen tree trunk, looks for salmon in Pack Creek, on Admiralty Island in Alaska. A silverback mountain gorilla relaxes in the highland forest of the Virunga Mountains in the eastern Democratic Republic of the Congo. Fewer than 800 exist in the world. Mountain gorillas habitate the highland forest of the Virunga Mountains in the eastern Democratic Republic of the Congo. Fewer than 800 exist in the world. An nine-inch long praying mantis casts an ominous shadow on the fabric of a campers' tent in Madagascar's Isalo National Park. An humpback whale fluke propels itself through the water in the Gulf of Maine. A male lion lets out a robust yawn, while spending an idle morning, with an ally, on Kenya's Masai Mara. A bull moose grazes in the Allagash River in northern Maine.